The market deals mainly in sheep and cattle. 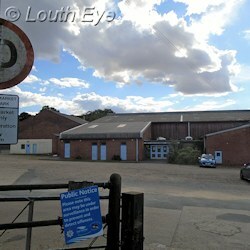 In 2014, ELDC voted to sell Louth's Cattle Market. 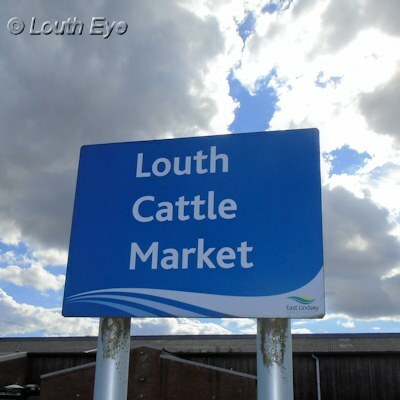 The future of Louth's cattle market is once again under scrutiny after the original preferred bidders pulled out of that arrangement, and the council identified another preferred bidder, ADV. The ADV Partnership is a joint venture between Arke Developments and VINCI Development UK. 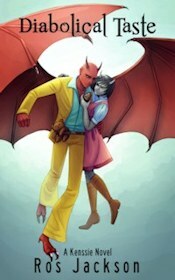 They have made an offer, which for reasons of commercial sensitivity isn't in the public domain. They are also planning to turn the site into a retail development, but again the precise nature of that retail isn't public. Sell the Newmarket site and build a new livestock market at a cost of around £5 million. Suspend the livestock market and seek a Private Act of Parliament at a cost of up to £200,000 to amend the Royal Charters to remove the obligation to provide a livestock market. Withdraw from the sale and refurbish the site at a cost of up to £700,000. The market is the last livestock market left in Lincolnshire. There were a number of livestock markets in nearby towns during the 20th century, but one by one they closed, many at the end of the last century. The next nearest market for many farmers will be in Newark, should Louth's close. In late 2015 Aldi opened a supermarket on Newbridge Hill, and this has had a big impact on retail in Louth. The town may not currently have enough demand to sustain a fourth supermarket, which is probably the main reason the 2014 bid fell through. However, Louth is likely to have a surge in population if the many applications for planning permission for homes are built. Only last week outline plans for 280 homes off Legbourne Road were passed, and East Lindsey's emerging Local Plan allocates at least 1204 plots around Louth for housing. Realistically, there is the potential for Louth to grow by up to a quarter by 2031. At the same time, retail in general is a contracting sector because people are buying more things online. So it's very hard to get a crystal ball out and guess how much the cattle market site will be worth to a retailer in ten or fifteen years - it depends on whether the trend towards online shopping continues indefinitely or if it levels off, and on how large Louth will be. It's obviously bad news if the timing of the sale knocks millions off the price. One thing that hasn't been discussed much is the privatisation of public assets, which an outright sale would be. There are two options to sell, but the option for the district council to retain ownership of the site hasn't been put forward as part of either. However, ELDC does rent out premises, so there's no good reason to discount this. It would mean the council could potentially retain an income from the site for years to come, as well as maintaining a degree of control over what type of retail could be offered. Councillor Adam Grist came to Louth Town Council on Tuesday, 2nd August, to answer a few questions about the potential sale and the consultation. What was interesting is that he said the three options on the consultation aren't set in stone - depending on what people think, the final decision could be one of the options or a combination of the best bits of several of them. 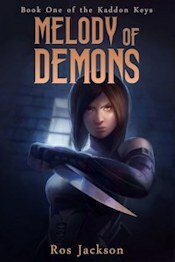 Another suggestion has been made: split the site. The sale of part of it might be a way to fund the refurbishment of the rest. It may also be a way to keep the livestock market open more than one day a week. Could cattle and sheep be hygienically kept in the same pens on different days of the week? How much would it cost to adapt the cattle pens to contain sheep? How would this affect the overall cost of refurbishment? What price could be obtained for the remaining part of the site? How would farmers feel about visiting the livestock market on different days of the week, and would attendance rise or fall? ELDC has held a number of street stalls in market towns to publicise the consultation. 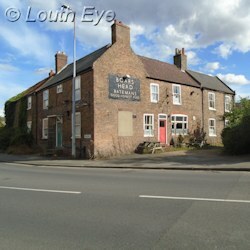 There will also be a meeting at the Town Hall on 9th August at 6.30pm, organised by Louth Independent Traders. The consultation, which will be open until 6th September 2017, is available here. The district council will debate and vote on this issue on 11th October. I have yet to decide which way I will vote, so I hope a lot of people will take the time to give their views.